because you had a flute recital? Stop looking to the spouse for an explanation. I’ll explain the term shortly. And no, you’re probably not going to an actual flute recital… unless you are, and then I guess this is more literal. But I digress. So you’re sitting around, listening to your favorite source for information and news about the on-goings across the country; and you begin to notice a trend. Things aren’t getting any better. And once you begin to reflect on that, you come to rest on the truth. Are things actually getting worse? You see feds raiding a farm; militarized police units harassing and violating the rights of the citizens; and innocent people being murdered for camping without a reservation. And seeing those things, I’m going to assume you’re not one of the sheeple, and you’re ready to take your part in changing things. Right? Great! I’m sure you’ve heard my rants about community before. The reason I focus so hard on the community is because I believe change starts best when it’s at the smallest level. Consider that the first change you need to make is with yourself. Stop watching the problem continue. Act. Educate. Get involved in some way to change the situation. When you can change your own behavior, you can inspire those you connect with most—your community. Are the elected officials of your community constitutional representatives? More specifically, have your police departments been militarized and/or come under scrutiny for questionable actions? Well, it’s time to hold them accountable. The first step to breaking the bad habits of law enforcement is to show them that WE THE PEOPLE are paying attention world-wide. Inspired to do just that, Jason Patrick initiated Operation Simple Request in his hometown and with his unit. The mission was simple: send a Public Record Request for a case that involved misuse of authority. The purpose of this mission was to generate enough public record requests on the desk of the agency that they would be forced to acknowledge the people’s requests for answers and justice. In addition to generating support for full investigations into crimes that would otherwise go unattested (because they were carried out by the biggest criminals in the country—the police); the materials obtained during these requests give the citizens the hand they need to begin processing formal charges where they oughta be pressed. Jason Patrick has since brought his mission to Nevada during the Bundy Standoff, and to Washington D.C. for Operation American Spring through his connections as a militia leader of Georgia, a journalist, and a contributor to ZenInTheCar.com. Enlivened and inspired, he strongly believes his mission can be carried out across the nation for all situations involving law enforcement, where law enforcement is breaking the oath. Full proof instructions and templates are provided for each case at Operation Simple Request. To follow Jason Patrick and all coverage of events across the nation, find him at The Fight for Freedom Never Sleeps. 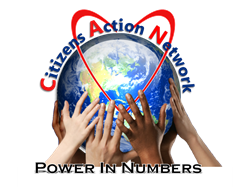 In a collaborative effort to bring his mission to others, Jason works closely with the Citizens Action Network (CAN) and the National Liberty Alliance (NLA) acting as a point of contact for the groups in Georgia. The CAN identifies their goals as restoration of the prerogatives and freedoms guaranteed them, under the Constitution, to the states and the people; and to hold public servants accountable for their Oath of Office. Catapulting their mission for ease of use, the site provides all the material you need to inspire the constitution into your law enforcement while building a connection between citizens and police that strengthens the community. And to ensure law enforcement practices what their sworn to, the NLA offers us guidance in establishing Citizen Grand Juries in our states. With a mission to restore sovereignty to the people by taking back political and judicial control, the NLA aids in saving the Republic one volunteer at a time. Do you have five minutes to send the mail? 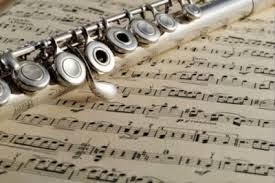 Or will you have a flute recital? take long and will in most cases require very little more than copy and pasting an email. But there’s some reason you can’t do it. Maybe you’re washing your hair, or cooking dinner, or you have to go to the dentist, or any of the million excuses you can come up with for not taking five minutes to do one simple request. 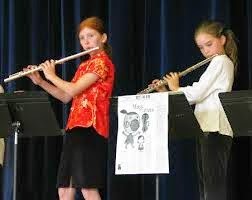 You have a “flute recital.” It doesn’t matter what it is, but you have to engage in that flute recital, and it will prevent you from this; or helping your friend move; or do whatever it is that you don’t want to do. And that’s fine. Some sacrifices are just not worth it, right? Just not worth liberty. So you really want to let freedom and justice slip away because you were having a flute recital?